On February 13, 2018, the Office of Inspector General (OIG) announced a Civil Monetary Penalties Law (CMPL) settlement with AZ Urogynecology and Pelvic Health Center, Dr. Mohamed Akl, and Dr. Ahmed Akl (collectively, "AZ Urogynecology"). AZ Urogynecology agreed to pay $877,474 to resolve allegations that the clinic submitted false and fraudulent claims for services related to pelvic floor therapy. Pelvic Floor Therapy (PFT) typically describes a combination of physical therapy treatments and behavioral modifications aimed at strengthening the pelvic floor muscles to combat urinary incontinence and prolapse issues. While PFT has no specific treatment regiment, it often includes biofeedback and physical or mechanical therapy modalities targeting the lower pelvic muscles. The OIG alleged that AZ Urogynecology: (1) improperly billed two diagnostic procedures (electromyography [CPT Code 51784]) and anorectal manometry (CPT 91122) as therapeutic modalities; (2) improperly billed for evaluation and management services that were never provided; (3) unbundled the biofeedback procedure (CPT Code 90911); and (4) failed to conduct a preliminary four-week pelvic muscle exercise regime prior to initiating the PFT. The basis for the OIG's finding that AZ Urogynecology unbundled the biofeedback procedure is unclear, because the OIG did not elaborate on how the procedure was "unbundled" and the code is not comprised of separately billable components. Likely, however, it was the clinic's routine use of diagnostic procedures as therapeutic modalities that led to the allegation. The AZ Urogynecology settlement came roughly six weeks after another OIG PFT settlement involving a Virginia-based physician. 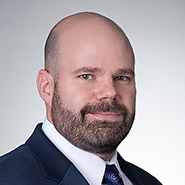 On December 29, 2017, the OIG announced a $1.4 million CMPL settlement with the Female Pelvic Institute of Virginia, P.C., and Dr. Nathan Guerette (collectively "FPMI"). 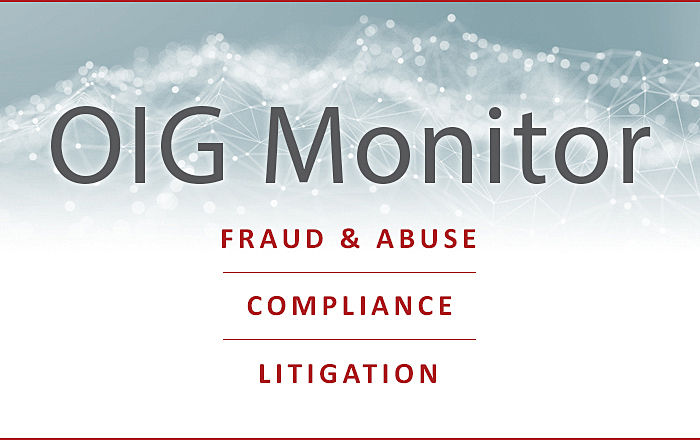 The OIG also required FPMI to enter into a 3-year integrity obligation requiring government oversight of the practices. The FPMI settlement resolved allegations that the clinic: (1) billed for services provided by unqualified individuals; (2) billed for improper electromyography services; (3) unbundled biofeedback and physical therapy procedures; (4) billed for physician services that failed to meet the "incident to" supervision requirements; and (5) failed to adequately document the billing of certain diagnostic services. The cases discussed above were initiated through OIG's Consolidated Data Analysis Center, which identified AZ Urogynecology and FPMI as billing outliers relating to PFT services. This is a clear indication that the OIG is conducting a broader enforcement initiative targeting urogynecologists, OB/GYNs, and other providers that bill a combination of CPT Code 51784 and 91122 with physical therapy codes during the same patient encounter. Moreover, on April 16, 2018, the OIG publically confirmed that Pelvic Floor Therapy was a CMPL enforcement initiative at the 2018 Health Care Compliance Association annual meeting. The OIG's prior enforcement work targeting PFT services resulted in the exclusion of Labib Riachi, M.D. (20 years) and Haroutyoun Margossian, M.D. (7 years), among other actions. There are several important takeaways from the AZ Urogynecology and FPMI settlements. First, providers offering PFT services need to be aware that the OIG is conducting a data driven enforcement initiative specifically targeting particular CPT code combinations. Providers should immediately conduct an internal compliance review focusing, at minimum, on the code combinations used, the frequency of procedures, the qualifications of the individual performing the procedures, compliance with the supervision requirement for "incident to" services, and the sufficiency of the provider's documentation. Second, the AZ Urogynecology and FPMI settlements show that once the OIG identifies a practice or physician as an outlier, the investigation can expand into other areas of non-compliance. For example, the settlements resolved allegations that could not be identified through data analytics alone, including allegations of improper supervision, the use of unqualified individuals, and billing for services not provided. Regular post-pay compliance reviews can help mitigate any additional exposure in the event you find yourself at the center of an OIG inquiry. The third takeaway from these two settlements is that the OIG is using information gained through prior enforcement actions to create data analytic models to identify providers engaged in similar conduct. Providers can use this knowledge to their advantage by staying current on OIG enforcement actions and examining their own billings to self-identify potential risk areas. Quarles & Brady will continue to analyze the enforcement landscape to notify the provider community of important trends. Please feel free to reach out to David Blank, or your regular Quarles & Brady attorney, to learn more about this or other OIG enforcement initiatives.